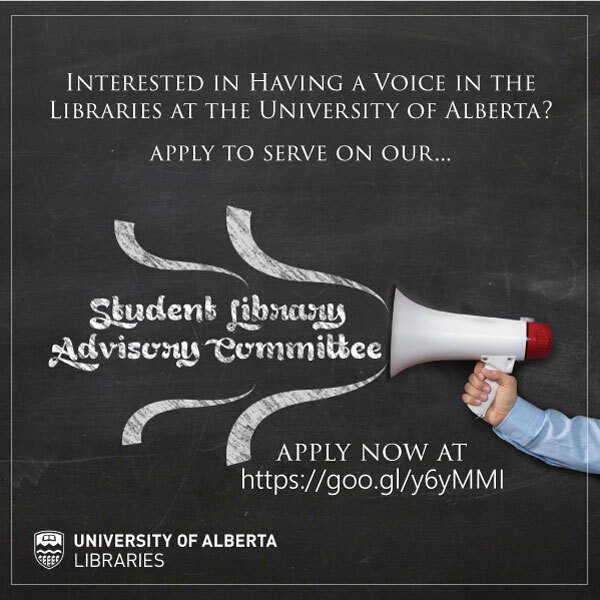 You can make a difference on campus and share your voice with the UAlberta Libraries! We're looking for new members for SLAC, our Student Library Advisory Committee. If selected, you will work collaboratively with your peers and library staff to enhance and improve library services to better meet the evolving needs of undergraduate and graduate students, now and in the future. Previous committee members have played an active role in helping the Libraries make key decisions related to its technology lending pilot program, Course Textbook Initiative, communication efforts with students, new furniture purchases, and web site usability.